New to Colorado or unsure about county names and locations? We received a request from some of the State CFR Team members to include a map of Colorado counties since many people are less familiar with areas across the state. Use the map below to learn more about where counties are located, which counties they border, and how some areas are regionalized. 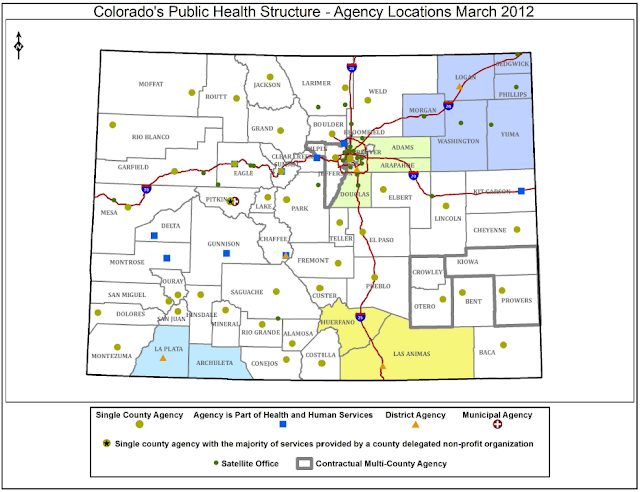 Click to view this map with all Colorado counties and local public health agencies. 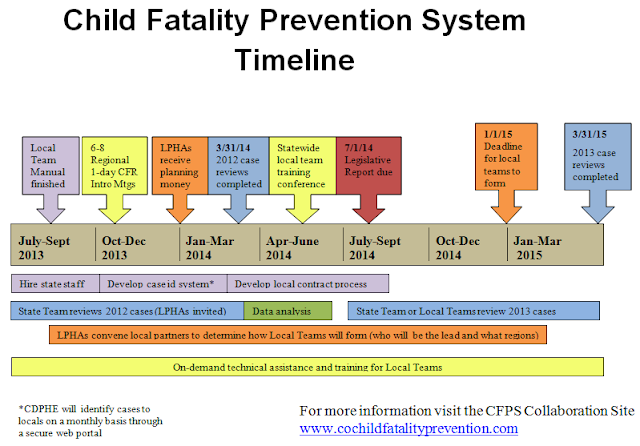 The Colorado Child Fatality Prevention System has released a timeline to outline the program implementation process for the requirements under Senate Bill 255. More information on this full process will be available soon. Click on the timeline below to be able to zoom in on the content.